The Tom Caswell Blues Band are led by English bluesman Tom Caswell on guitar and vocals and include Scott Totten on harmonica, Paul Snyder on bass and John Wallace on drums. A formidable unit, the band take inspiration from a number of blues artists including Freddie King, Howlin’ Wolf, Slim Harpo, Little Walter, Muddy Waters and Eric Clapton. Band leader Tom Caswell supplies tasteful yet explosive Chicago Blues style electric playing that is sure to get you out of your seats and on the dance floor. He moved from England to the United States in April 2017 and has fast become one of Vermont’s most exciting bluesmen, playing with some of the best blues players in the state. Paul Snyder on bass supplies some thick and driving bass to the band. Paired with the drums, he’s a force to be reckoned with. Scott Totten on harmonica channels some excellent Little Walter riffs and is demon on the harp! John Wallace on drums keeps things moving with his excellence shining through in every beat. 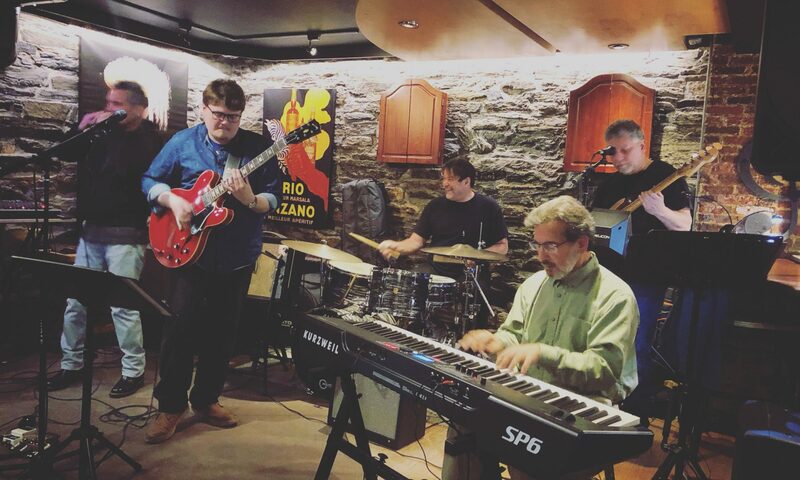 Led by Caswell on guitar and vocals, the four musicians deliver exquisite blues playing and are one of the most explosive bands in the entire state.